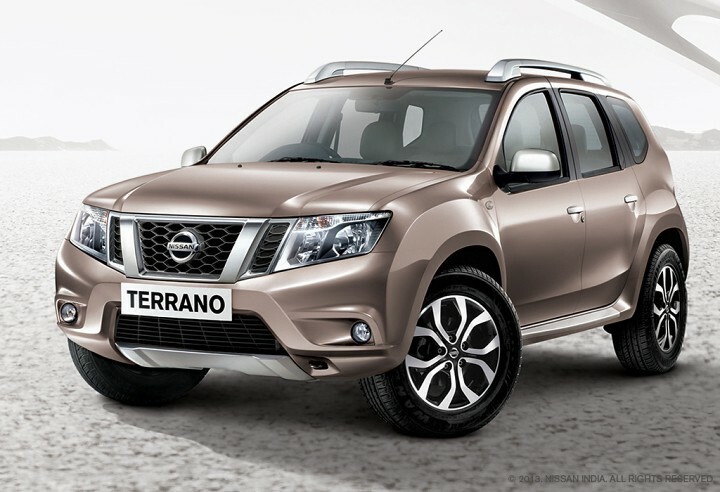 Nissan has launched the Nissan Terrano SUV in India. As you may know, the Nissan Terrano is essentially a badge engineered Renault Duster (which actually is a Dacia Duster) but Nissan has made sure that the Terrano looks and feels different from the Duster. The sheet-metal on the SUV has been redesigned extensively, the interior trim and equipment is different, what remains the same is the drive feel, performance and handling. Bookings of the SUV had started in the first week of September and according to Autocarindia.com, the first lot of Terranos will be delivered to dealerships by the first week of November. On the outside, the basic silhouette of the SUV remains the same as the Renault Duster, but little details all around make it different. At the front, the headlights, the grille and the bumper have been revised for a smarter look. The Terrano gets Nissan’s ‘SUV Heritage’ grille, as in it is similar to the other SUVs found in Nissan’s lineup. The bonnet gets a slight change to continue the lines from the grille. Move to the side and you’ll notice the new alloy wheel design, the blacked out B and C pillars, the new roof-rail. The door panels have been slightly rounded out and a new crease line runs above the door handles. Move to the rear and things look really different, we wish the Duster looked this way. The split tail-lamps and revised number-plate holder design make the Terrano look smarter, the space here seems to be better utilised. Move inside, and the biggest change that you’d be able to notice is how the centre console looks. The vents above the centre console are now rectangular-ish, a closed cubby hole can be fund above that. The centre console is finished in piano-black plastic and again is more rectangular-ish, the music-system is slightly different, but the rest of the buttons are similar to that found in the Duster. The steering wheel has been slightly altered, but in essence isn’t that different from the one found on the Duster. What do you think of the Nissan Terrano? Let us know in the comments below.